When readers ask The Heartbeat of Haverhill to provide a list of things to do in Haverhill, it can be a little overwhelming. So much is happening all the time, and it’s nearly impossible to know everything, and to keep all the facts straight. But we are willing to give it a try, if only to ensure the community, we can in fact keep you crazy busy, all the time. If THOH missed any entertaining event, feel free to write about them in the comments on this blog page. But in the meantime, remember to hike the trails, visit the shops, enjoy a craft beer, try some new foods, fish the river and lakes, engage in art projects, and make time for all the spontaneous activities you can enjoy every day in our City. 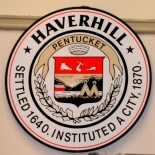 Thank you for your interest in all that makes Haverhill an awesome place to call home. Chris’ Farmstand @ Silsby Farm, 436 Salem St., 978.994.4315 Weekends in October, 12-4pm. Hay rides, hay maze, pumpkin patch, farm animals, tractors, not too spooky castle and order your turkeys. Great for young children. Crescent Farm, 140 Willow Ave. 978.914.3158 Weekends in October, 11am-3pm. Corn maze and night maze, hay rides, farm animals, pumpkins, cider donuts and ice cream. Crescent Farm, 140 Willow Ave. 978.914.3158 Sat Oct 28, 9am start; New England Championship Tractor Pull Off. Antique and super charged tractors demonstrate their capabilities. Food and fun and prizes. The Tap, 100 Washington St., (978) 374-1117 Wednesdays in October, 7:30-11:30 pm. Free Horror Movie viewing on the deck. Winnekenni Castle, Castle Rd (Off Kenoza Ave), (978) 521-1686 Oct 22, 12n-3p, Kids Costume Party Kiddie Games, Treats, a Photo Spot with a Surprise Costumed Character, Arts & Craft Activities, an available Family Hayride and more! Costumes encouraged but not required. HAVERHILL TRICK OR TREAT NIGHT, City-wide, 978-358-1311 or 311 Sat Oct 28, 5p-7p. Nope, it’s not actually on Halloween. It is always the last Saturday in October. Buttonwoods Museum, 240 Water St., (978) 374-4626 Oct 31, 5pm. Glotober fall food, old fashioned games, and fun! Admission: $5 per person or $20 per family. Creative Haverhill event at Battle Grounds Coffee Co. 39 Washington St., (978) 641-3192 Oct 20, 7pm-9pm Poetry Bards poetry reading. Creative Haverhill event at Battle Grounds Coffee Co. 39 Washington St., (978) 641-3192 Nov 3, 7pm-9pm Poetry Bards poetry reading. Creative Haverhill event, Riverfront Cultural District on Washington and Wingate Streets, (978) 641-3192 First Fridays monthly 5p-9p. events. Local businesses, artists, and performers create a monthly event that encourages shopping, dining and the arts, and showcases the rejuvenation of Downtown Haverhill. Hilldale Cemetery Clean Up, 337 Hilldale Ave, tammydobro@me.com. Oct. 15 9am-1pm. The Hilldale Cemetery Association (an entirely volunteer based group) is working toward reclaiming the approximately 20 acres of HIlldale Cemetery in Haverhill MA. This is a community cleanup day. Please consider coming out and volunteering… Celebratory Picnic to follow. Hilldale Cemetery Fundraiser, 337 Hilldale Ave, tammydobro@me.com., Pumpkins on Parade, Oct 21, 4:30p-8p. Carve a pumpkin with your family, friends, scout group or school. Bring it to Hilldale Cemetery and help us light up the night with glowing jackolanterns (can only be lit by battery operated candles. No real flames. Adults and children welcome to participate. $5 suggested donation to enter. Savor Haverhill Merrimack Valley Food Co-op, 996 West Lowell Ave., Sun Oct 22 1-5pm. a local food celebration! a family friendly, food centered, day of activity, learning and fun on the farm. We will have demo events showcasing local food, tips and the culture of food. Tattersall Farm Nature Walk, 542 North Broadway, (978) 374-2390 ext. 11, Sun Nov 5, 2-4pm. Nature Walk Walk will be led by naturalist Boot Boutwell. VFW Post 29 Santa Parade, Parade Route: 480 South Main St (Rte 125) at Hunking School Bradford to to Lorraine Post 29 VFW Route 110/ Kenoza Avenue in Haverhill. vfw29santaparade@gmail.com, Sun Nov 19 1pm start/ 53rd Annual event. Biggest parade in the area – more floats, more bands, more antique cars, etc. This entry was posted on October 10, 2017 by Brain4Rent/THoH in City of Haverhill MA, Cool things to do in Haverhill, Fall in Haverhill, Haverhill activities, Haverhill Calendar of events, Haverhill Massachusetts, Uncategorized and tagged Battle Grounds Coffee, Buttonwoods Museum, Chris' Farmstand, Creative Haverhill, Crescent Farm, Dale Rogers American Dog Sculptor, Family fun, GHCC, GHCC Christmas Stroll, Greater Haverhill Chamber of Commerce, Haverhill First Fridays, Haverhill High School, Haverhill MA, Haverhill Public Library, Haverhill Riverfront Cultural District, Hilldale Cemetery, Kimball farm, Merrimack Valley Food Co-op, NECC, New England Championship Tractor Pull, New Moon Coffee House, Northern Essex Community College, photography, Savor Haverhill, Tattersall Farm, Temple Emanu-El, The Tap, VFW Post 29, VFW Santa Parade, Winnekenni Castle and Trails, YWCA's Annual Tribute to Women.